Crochet With Me!! 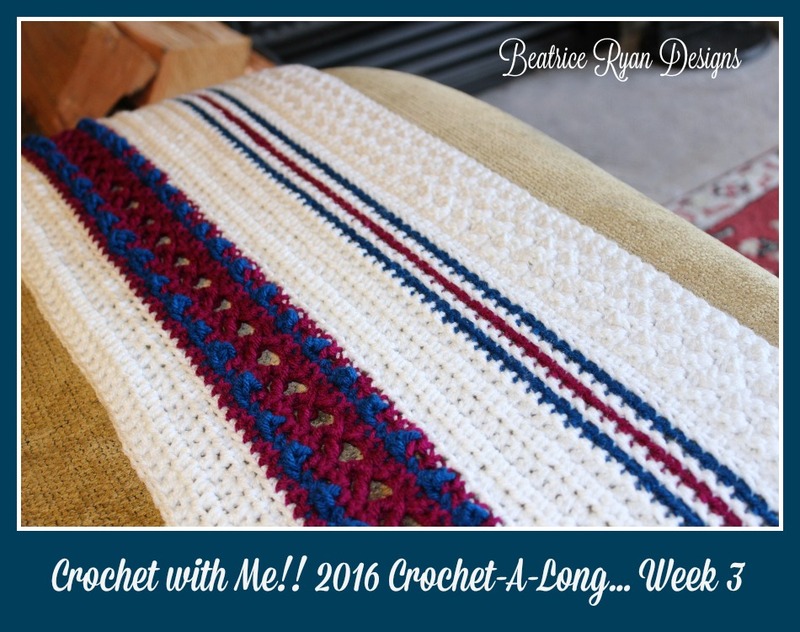 Winter 2016 Crochet A Long… Week 3!!! Welcome back to this weeks Crochet with Me!! Winter 2016 CAL Afghan Project!! I am so excited to share with you the next section of our afghan!! This week we get colorful and all fun texture!! Week 1 was the material list, Week 2 we went over gauge and made our first few inches of our afghan! There were a few questions about making the afghan larger, in the last weeks we will be adding 3 ” to each side then making our edging… So our afghan will become quite bit wider that what we are working with now!! Also, I have loved seeing all of the pictures on Facebook of our progress for week 2 afghans… If you missed out, make sure to head over to my page and post yours and see what everyone else is doing!! I have love using my Red Heart With Love Yarn,,, It sure does make a great afghan!! What do you think? Are you ready to start Week 3?? Here we go!! This week we will be making an “X” stitch pattern, there is a photo tutorial bottom of the pattern. Rows 30 – 32: Ch 2, hdc in each st across. = 152 sts. Congratulations… You have just finished Week 3!! 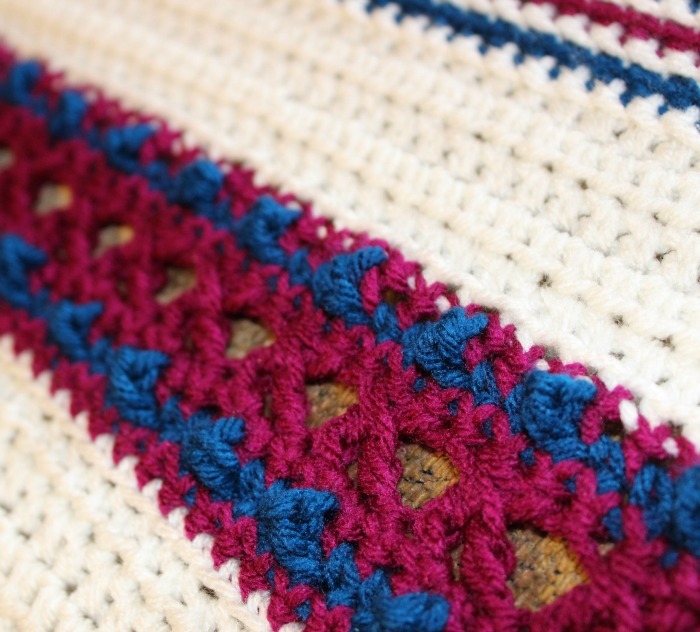 Your afghan should now be approximately 12″ long… Stay tuned next week for more fun color and texture!! 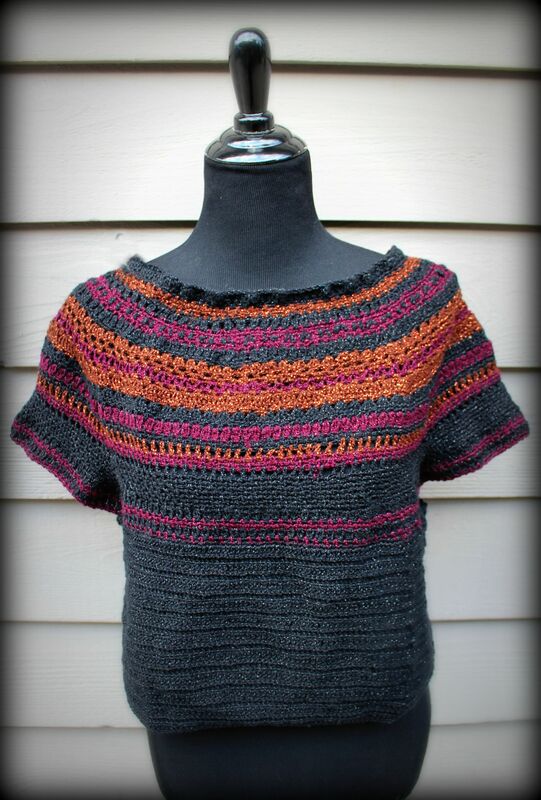 and don’t forget to add your projects to Ravelry and make it one of your favorites!! Lovin’ Week 3 of the Lion Brand Sabrina Tunic CAL!! If you are participating with me or just following along,,, Hop over to the Lion Brand Yarn Blog and read all about our progress and this weeks Crochet Along assignment!! I have been so blessed to work with Lion Brand Yarn on this project… And I will end up with a great tunic for this fall!!! 2 more weeks to go and my sparkly project will be ready to wear!! Read all about it here.. Week 3 Beginning the Body! I am headed to CGOA (Knit and Crochet Show) Conference in just a few days… Make sure to say hi if you are there too!! I can’t wait to have some real crochet fun! !